On Sunday, crowds gathered along Fifth Avenue in Manhattan for New York City's annual pride parade. The event draws millions of spectators and tens of thousands of marchers every year, but this year's celebration had a particularly significant meaning thanks to the recent mass shooting in Orlando. That significance played out on social media, as participants and spectators shared beautiful tweets about NYC pride throughout the day. Throughout June, which is considered Pride Month, celebrations across the country have honored the LGBT community and recognized the 49 victims of the attack on a gay nightclub in Orlando. The Big Apple's parade was expected to be even larger than in previous years as a result of the recent tragedy, and from the looks of it, the event did not disappoint. Before the parade kicked off, New York Gov. Andrew Cuomo announced that the state will honor the Orlando shooting victims with a monument. A 10-person LGBT Memorial Commission will work to plan and design the monument, delivering its recommendations by the end of the year. Shortly after Cuomo's announcement, the pride parade began with a moment of silence for the 49 Orlando victims. Despite the tragedy that was clearly on everyone's minds, the event appeared to remain celebratory and festive. From rainbow bagels to VIP appearances, NYC pride was clearly a FOMO-worthy event. Given the recent tragedy in Orlando, though, the celebration was laced with remembrance and political demonstration. 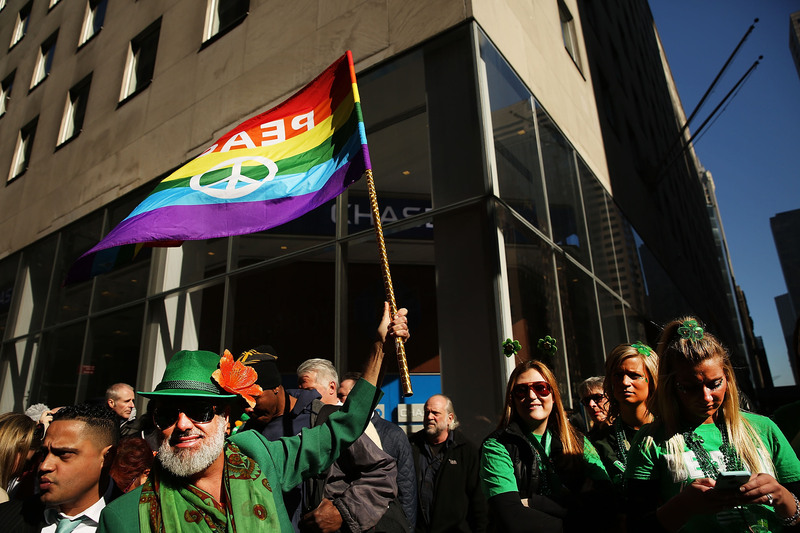 To make matters even more celebratory, the Big Apple's parade occurred on the first anniversary of the Supreme Court's monumental gay marriage decision.